Homebuyers often think of buying new construction as a mysterious process. And as with many things, the unknown can make people nervous. But fear not! Buying a new construction home can be different than buying a resale one, but we’re here to get you up to speed on the differences—and similarities. With a resale home, prequalifying can help you determine your budget and may help the loan process go more smoothly when you move forward with a purchase. Buying a new home is very similar! We recommend getting prequalified before touring model homes so you have an idea about what you can afford and the interest rate your mortgage company may be willing to offer, which can affect your monthly payment. Keep in mind: Your move-in timeline may be longer with new construction than the typical resale home if it is not 100% complete at time of purchase. Interest rates may fluctuate during this timeframe. If current interest rates are appealing, ask if extended rate lock options are available. 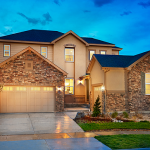 Although it’s certainly not required, new construction buyers often use real estate agents, and for many of the same reasons you’d want one for a resale purchase! In fact, the majority of Richmond American home purchases are tied to an agent. Keep in mind: New construction is a process with many phases—from securing a mortgage to making upgrade selections to attending walk-through appointments before you close. While your sales associate and other professionals strive to keep you informed every step of the way, it never hurts to have another person on your side reminding you of important dates. Personalization is probably the area that differs the most between new and resale home purchases. If you buy a resale home, you can choose to do renovations to make the home your own. For example, you may decide to hire a contractor for a kitchen reno before you move in. Or you might opt to live with the current décor for a bit while you save money for future renovations. When you build from the ground up, you’ll likely have more opportunities to personalize your home before you make it to the closing table. With Richmond American, you’ll have hundreds of choices of fixtures and finishes. Every builder is different so be sure to ask questions. Keep in mind: One of the main perks of building from the ground up is that many of the personalization options—from cabinetry to flooring to home technology—may be able to be rolled into your monthly mortgage payment. 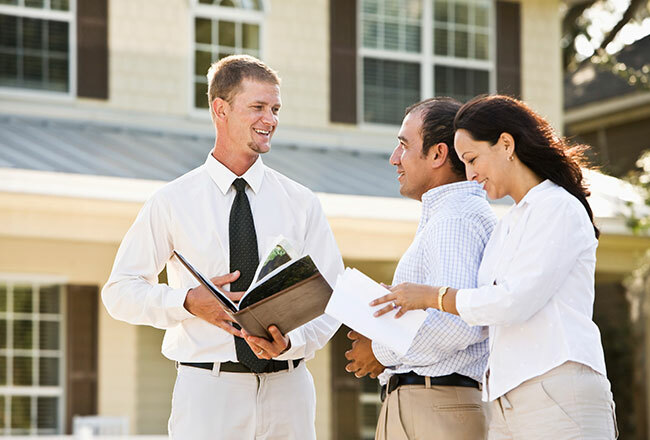 These are just a few of the differences between buying new and resale homes. If you have additional questions during your house hunt, consider contacting one of our New Home Specialists to learn more: 888.500.7060.